Roche has opted to out-license the bulk of the rights to its IL-13 inhibitor lebrikizumab to dermatology company Dermira in a deal valued at up to $1.4bn. The deal includes rights to lebrikizumab for atopic dermatitis and all other indications with the exception of interstitial lung diseases such as idiopathic pulmonary fibrosis (IPF), where Roche retains ownership of the drug. 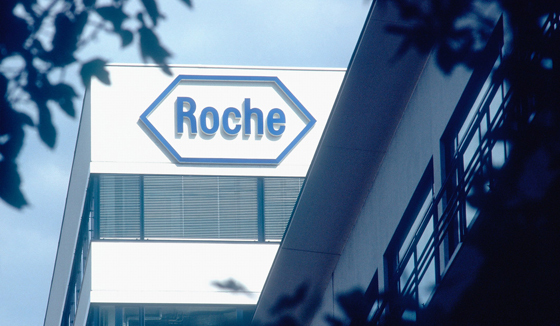 Roche has been developing lebrikizumab as a potential treatment for severe asthma, but reported mixed results for the drug last year, with one trial meeting its objectives but a second identical study failing to show a significant impact on asthma attacks. Disappointing results with other IL-13-targeting drugs in asthma - including Pfizer's anrukinzumab and AstraZeneca's tralokinumab - undermined confidence in the approach. Now, the Swiss drug major has decided to let someone else take the lead on lebrikizumab, giving Dermira exclusive, global rights to develop and sell the drug in return for an $80m upfront payment, additional payments worth $55m in 2018 and milestone payments. It stands to receive $40m on the start of the first phase III trial of lebrikizumab, up to $210m on other development milestones and up to $1.025bn based on lebrikizumab sales, plus royalties. Dermira is focused on atopic dermatitis in the first instance, and says it plans to start a phase IIb study in adults with moderate-to-severe forms of the disease - also known as chronic eczema - in the first quarter of 2018. Atopic dermatitis has drawn attention in pharma of late largely due to the efforts by Sanofi and Regeneron to develop their IL-4 and IL-13-targeting drug Dupixent (dupilumab) for the disease, with analysts predicting that an effective treatment could become a blockbuster, as there could be millions of people worldwide uncontrolled on current therapies such as topical steroids, cyclosporine and methotrexate. Dupixent seems to be making a great start in the market with sales of almost $25m in the second quarter, according to Sanofi. Meanwhile, Pfizer is starting to make headway with its new topical treatment Eucrisa (crisaborole), which pulled in $17m in the first half of the year after its approval last December. The disease is clearly a massive opportunity but with Sanofi and Regeneron insisting the dual targeting of IL-4 and IL-13 are the secret to dupilimab's success, it remains to be seen whether lebrikizumab will match its rival in trials. Dermira's chief medical officer Eugene Bauer said that prior studies suggest "higher doses of lebrikizumab could lead to greater efficacy in atopic dermatitis, while potentially offering a less frequent and therefore more convenient dosing regimen relative to existing therapies". Other competition is also in the offing including GlaxoSmithKline's asthma therapy Nucala (mepolizumab) and non-steroidal anti-inflammatory tapinarof, which are both in mid-stage testing for atopic dermatitis, and Novartis' orally-active histamine H4 receptor antagonist ZPL389 in phase II. GlobalData has predicted that new therapies will help boost the atopic dermatitis market from $3.6bn in 2014 to $7.3bn in 2024.